Satterwhite (b. 1986, Columbia, South Carolina, USA) is a fast rising art-world star and a 2008 graduate of the Maryland Institute College of Art, Baltimore, MD. Using video, performance, 3-D animation, drawings, and prints to explore memory, insider/outsider art practices, and meta-narratives, Satterwhite's dynamic, interactive performances and video installations transform viewers into participants in the virtual worlds of his videos. 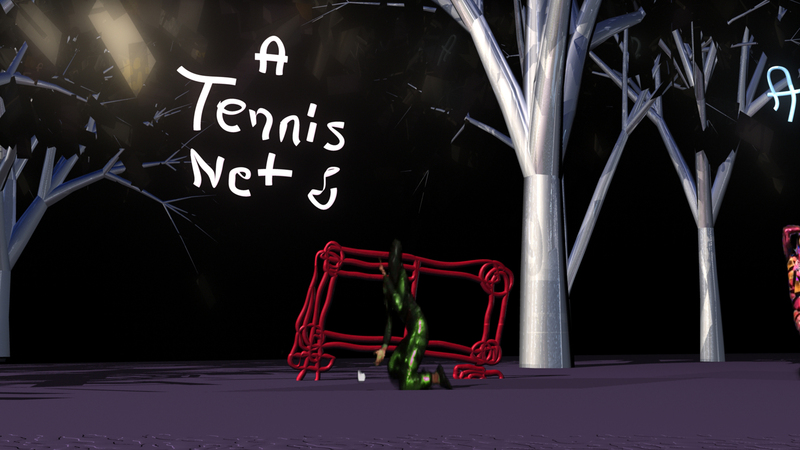 Curated by arts writer and curator Julie Chae, the Hothouse Video: Jacolby Satterwhite exhibition will present a series of print and video works leading up to Satterwhite’s newest video, Reifying Desire 6, which will make its world premiere at the 2014 Whitney Biennial, and will include a special installation of the video Country Ball 1989-2012 with home video footage from his family's 1989 Mother's Day picnic in South Carolina. The exhibition will remain on view 24 hours a day, 7 days a week in the hotel lobby from February 8 through March 28, 2014. Admission to the exhibition and performance are free and open to the public. Seating for the performance is extremely limited and admission will be on a space-available basis. No reservations will be accepted for the performance. 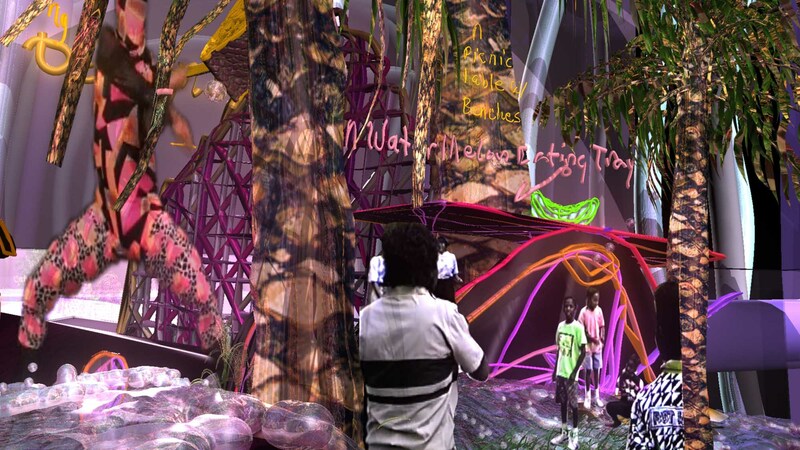 Hothouse Video: Jacolby Satterwhite is sponsored by Peggy Cooper Cafritz. Additional support is provided by Dr. Michael Pollack, Sheldon Scott, Animals & Fire, and Jarvis DuBois. Special thanks to Pärnilla and Stefan Lundgren of Mallorca Landings and Julie Chae. As a natural extension of its long running Experimental Media Series, WPA is launching Hothouse Video, a series of contemporary video works by local, national, and international artists to be presented in the hotel lobby. Part of the Hothouse series of exhibitions and events at the Capitol Skyline Hotel, Hothouse Video seeks to introduce exceptional artists and artworks to the DC community and to the substantial number of visitors, both national and international, who visit the hotel. Each Hothouse Video project will run approximately 6 weeks. 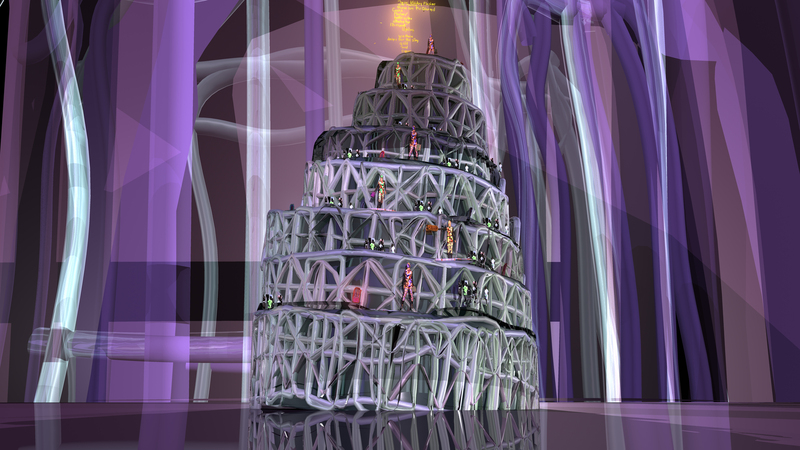 Jacolby Satterwhite, based in Brooklyn, NY, holds an MFA from the University of Pennsylvania (2010) and has attended the Skowhegan School for Painting and Sculpture (2009). His numerous awards and honors include Electronic Television Center Finishing Funds Grant (2011), Van Lier Grant, Jamaica Center for Arts and Learning, Studio LLC program (2011), Queer Arts Mentorship Fellowship (2011), and the Toby Devan Lewis Fellowship (2010). His work has been included in numerous solo and group exhibitions including The House of Patricia Satterwhite, Mallorca Landings, Mallorca, Spain (2013); The Matriarch’s Rhapsody, Monya Rowe Gallery, New York, NY (2013); Aboveground Animation, MOCATV, Los Angeles, CA (2013); Approximately Infinite Universe, Museum of Contemporary Art San Diego, San Diego, CA (2013); AIM Biennial, Bronx Museum, Bronx, NY (2013); Trans Technology, Rutgers University, Newark, NJ (2013); Fore, Studio Museum in Harlem, New York, NY (2012-13); Radical Presence, Contemporary Arts Museum Houston, Houston, TX (2012-13); 3-D Form: Aboveground Animation, the New Museum, New York, NY (2012); Park Side of the Moon, Socrates Sculpture Park, Long Island City, NY (2012); Shift, Studio Museum in Harlem, New York, NY (2012); Oh, You mean Cellophane & All that Crap, The Calder Foundation, New York, NY (2012); If There’s No Dancing At The Revolution I’m Not Coming, Recess Activities, New York, NY (2011); The Mothership Has Landed, Rush Arts Gallery, New York, NY (2010); Weerrq!, MoMA PS1, Long Island City, NY(2010); and Sympathetic Magic, Art In the Age, Philadelphia, PA (2009).